A team of NASA physicians and engineers are heading to Chile this week to provide assistance to a group of 33 miners who are trapped underground awaiting rescue. Michael Duncan, pictured above, is one of the four team members traveling to Chile. Duncan is the Deputy Chief Medical Officer at NASA's Johnson Space Center in Houston. A four-personteam from NASA is heading to Chile this week to provide assistance in the attemptedrescue of 33 trapped miners. Thetwo physicians, one psychologist and one engineer from the U.S. space agency planto provide nutritionaland psychological support for the miners, who have been trapped 2,300 feet(700 meters) below the Earth's surface since Aug. 5. 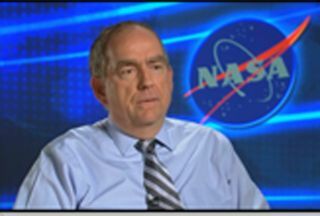 "NASAis providing advice," said one of the team members, deputy chief medicalofficer Michael Duncan, in a NASA TV broadcast. "Our plan is to go downand provide the advice that the Chileans have requested in the areas ofnutritional support and behavioral health support." Last weekthe Chilean government requested advice from NASA on how the miners can copewith the tough physical and psychological conditions as they wait for rescuers to reachtheir cavern, an effort that could take four months. After the smallgold and copper mine in northern Chile collapsed, rescuers were able to dig a6-inch-wide tunnel to make contact with the trapped miners. But the rescue mission involvesdrilling a 2-foot-wide (0.6-meter) tunnel through 2,200 feet (670 meters) ofsolid rock. For advice, Chileanofficials called upon NASA, which routinely trains astronauts for the isolationof months-long International Space Station missions. "NASAhas had a long experience in dealing with isolated environments," Duncansaid. "We train and plan contingencies for emergencies and we also haveexperience in other analog environments ? undersea environments, and somedealings with our Antarctica analog as well." Although NASAdoes not have training programs for the exact conditions facing the Chileanminers, what it has learned can still apply, said Duncan. "Environmentsmay well be different, but human response ? both in physiology and behaviorresponses to emergencies ? is quite similar," he explained. "So wethink that some of the things we've learned in research or in operations can beapplicable to the miners that are trapped underground."